I asked Caro to provide a new fun design for the garden, keeping a couple of trees and the existing deck but otherwise given free rein to make the best use of the space. She came up with a contemporary design involving strong geometric patterns, and a striking feature wall at the end of the garden to reflect the unusual architects’ practice behind the garden. She understood what I wanted and created something I couldn’t have imagined myself, and I would have no hesitation in recommending her – and indeed already have, to at least three other friends who have gone on to commission new designs. Caro is good at anticipating my needs of “annual newness” in the garden and whilst technically strong understands needs for visual communication. I really enjoy the garden at different times of year now and make as much use of it as the English weather allows! Caro Garden Design are brilliant planners and designers, but the thing that impressed me most about them was the time and care they spent preparing their design before they chose a single plant. Jo spent many hours getting to understand my tastes and aspirations, gently coaxing this non-gardener into articulating what I wanted my garden to be before she created a beautifully detailed and coherent plan that reflected exactly what I would have designed myself, if I only had her knowledge and skill. 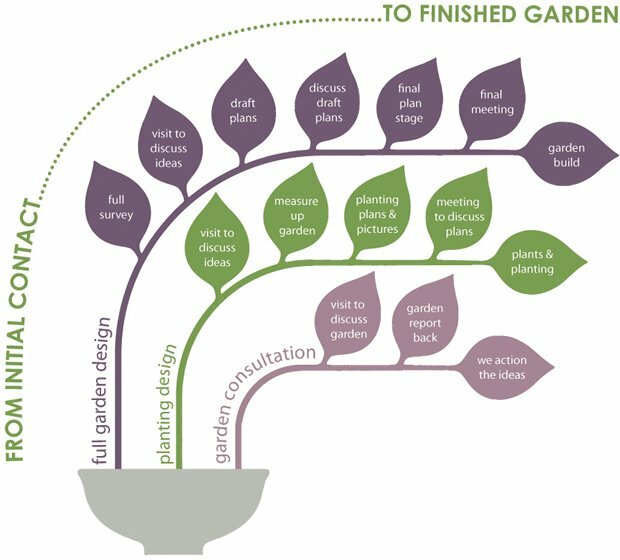 From those conversations, through to a technical survey, several rounds of planning, and planting up the finished garden, I felt that I had a deeply gifted team working for me who cared as much about the results as I did, Transparent on costs and reliable on timings and logistics, I can’t recommend them highly enough. And the final result? A garden I love and will go on loving for many years to come. or complete the enquiry form to get started.